Hamlet hopes to shrink racial achievement gap in Pittsburgh schools. New test scores show a long way to go. There were smiles all around at the Pittsburgh Public Schools “State of the District” event last week as the audience of district officials, advocates, politicians and foundation representatives watched performances by the Brashear High School Nepali dance team, the Miller PreK-5 African Drummers and the Faison K-5 choir. But the goodwill generated was not enough to overcome school board president Regina Holley’s concerns about data released during the event that showed test scores across the district are barely moving forward and that a wide achievement gap still exists between black and white students. “The gap is very wide. It’s not moving fast enough,” said Holley, a retired principal in the Pittsburgh district. “As you can see, these numbers are not 100 percent. As an educational organization, we cannot stop." 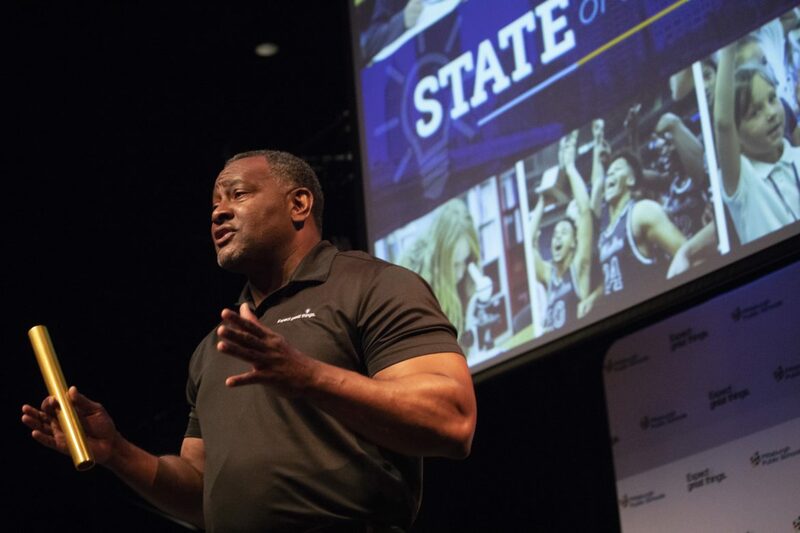 Hamlet said that while the persistent achievement gaps are “troubling” and “perplexing,” he plans to “be tenacious to see what we need to do to change that narrative.” He said he wants to focus on moving all students forward. 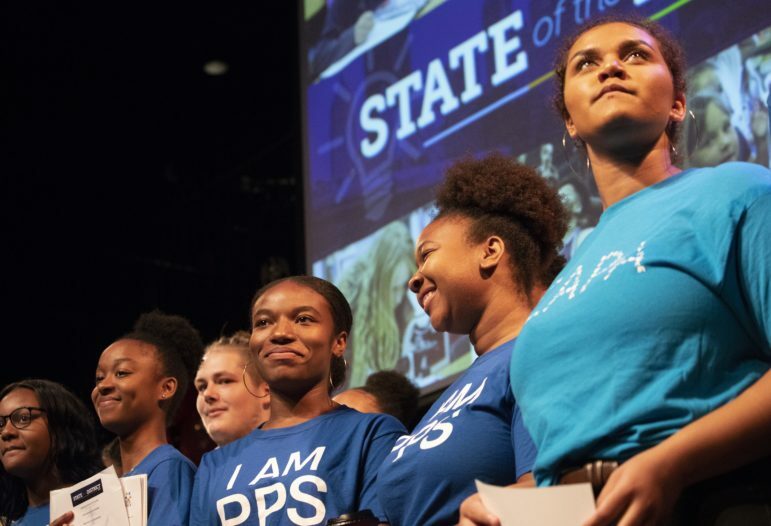 The superintendent said the racial achievement gap persisted in this year’s test scores because the district saw both black and white students move ahead slightly. For the future, Hamlet said, the district will set higher goals for moving black students forward. As an example, Hamlet said, if the district sets a goal of moving the proficiency rates of white students ahead by 5 percent, the goal for black students should be 6.5 percent. Data presented at the Sept. 18 event by Anthony Anderson, deputy superintendent of school support and accountability, skimmed the surface of the district’s test results. He highlighted proficiency rates that are up just slightly from 2016 and 2017 for students in grades 3-8 who took the Pennsylvania System of School Assessment exams [PSSAs] in math and English language arts [ELA] and in grades 4 and 8 in science. The district used 2016 as a baseline. It is the year Hamlet took over as superintendent in July. On the 2018 PSSAs, across the district, 46.2 percent of students were proficient in ELA, 28.8 percent in math and 46.2 percent in science. The best news of those test results was the third-grade ELA scores, which were up by 11.2 percentage points among black students to a proficiency level of 45.5. Proficiency on the ELA exams, which assess reading skills, is important in third grade because that grade marks the transition from learning to read to reading to learn. ELA scores for white third-grade students were up 7.3 percentage points to a proficiency level of 75.4 percent. Hamlet predicted that as the current cohort of third graders moves forward their proficiency rates will rise because of their reading abilities. On the 2018 Keystone exams given to secondary students, proficiency rates were up slightly from 2016 in algebra and biology, but down slightly in literature. Among white students, Keystone proficiency improved in all three subjects, while black students saw their rates drop in all Keystone subjects, with the biggest drop in algebra. 2018 proficiency rates on Keystone exams for black and white students in Pittsburgh Public Schools. In looking at Keystone scores of all students, 61.8 percent scored proficient in literature, 49.6 percent in algebra and 41.9 percent in biology. Anderson said that while overall test scores in the district are moving “in the right direction,” it’s not happening at a sufficient rate and that black students are not seeing the same improvements as white students. A more detailed look at student achievement can be found in a report prepared for the school board and posted on the district’s website, which breaks down test scores among grade levels, races and other subgroups, which also include English language learners and special education students. That report, not presented at the State of the District event, shows wide achievement gaps between black and white students in the district at all grade levels. Nearly 53 percent of students in the Pittsburgh schools are black, according to the district’s state School Performance Profile. 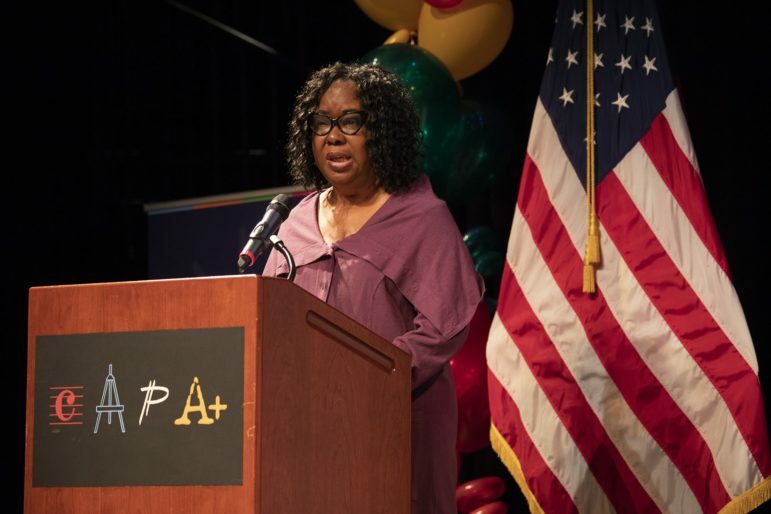 While black students saw small increases in proficiency rates on the PSSAs, the achievement gap between them and their white counterparts in grades 3-8 in ELA ranged from about 27 percentage points to nearly 37 percentage points. The racial achievement gaps among students in grades 4 and 8 who took the PSSA science tests were 30 percentage points in fourth grade and about 33 percentage points in eighth grade. That gap narrowed since 2016, when it was nearly 38 percentage points in fourth grade and 36 in eighth grade. In math, the achievement gaps between the races in grades 3-8 range from about 26 percentage points to about 35 percentage points. But a more troubling aspect with the math scores is that they are low across the district — just 28.8 percent of students scored proficient on the PSSAs. The math proficiency rates for all students dropped steadily across the grade levels from 44.7 in third grade down to to 20.3 in eighth grade. Among black students, the math proficiency rate dips into the single digits in seventh and eighth grades, with just 7.9 percent and 9.6 percent proficient, respectively. “The gap is very wide. It’s not moving fast enough." Hamlet said students across the state have struggled with the math tests since curriculum was aligned to the PA Core, which teaches math differently than in the past. “Our teachers need to help our students with this,” Hamlet said. He also cited the need for teachers to undergo professional development targeted specifically to student needs. For math and ELA, the range of gaps remained relatively stable from 2016, but in some grade levels they increased slightly and in others they decreased. When broken down by gender, black male students most often had the lowest proficiency rates. On the Keystone exams for secondary students, the racial achievement gaps are wider than with the PSSAs and are increasing rather than decreasing. The gaps were 40.1 percentage points in literature, 44.7 percentage points in algebra and 46.9 percentage points in biology. Of the subjects, the gap increased the most — by 11.4 percentage points from 2017— in algebra proficiency rates. Proficiency rates on standardized tests for all students in the Pittsburgh Public Schools over three years. Anderson and Hamlet said one bright spot among the test scores of black students is that more of them are moving out of the ‘below basic’ category — the lowest of four labels given for test results. The others are basic, proficient and advanced. The goal is for all students to become proficient. Holley said she was encouraged by test scores that showed a handful of schools improved significantly. Among those she cited were Arsenal PreK-5 and 6-8 and Weil, Montessori, Lincoln and Fulton, which are all PreK-5 schools. “I’m elated to see some schools making progress,” Holley said. District spokeswoman Ebony Pugh said board members viewed preliminary data broken down by school but that the information is not yet finalized and ready for public release. She said it will likely be released next month by the state and district. The district, Holley said, is trying to provide the supports needed to improve achievement by including more planning time for teachers, summer programs for students and partnering with outside agencies.